NIZZA. Your entry to the comfort class. BAMBRELLA. For a greener world. WIND PROTECTION makes your terrace complete. 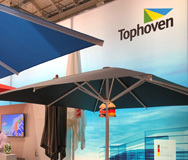 Tophoven sunshades and large umbrellas. 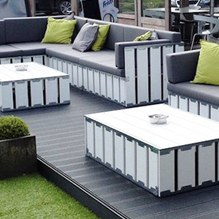 The best choice for your terrace. 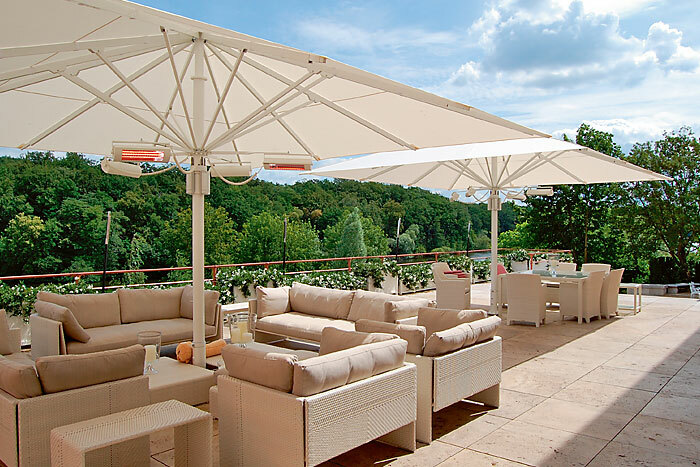 In Germany, the Tophoven name has stood for high-quality brand-name sunshades and professional advertising umbrellas for many years. As a manufacturer, retailer and service provider, our customers' interest are extremely important to us. See the variety and quality of our products for yourself, and benefit from expert advice and impressive customer service. The perfect large umbrella for the hospitality industry. Sunshades and pavilions made of laminated bamboo. Your ticket to the premium class of professional parasols. Withstanding windspeeds up to Force 10 on the Beaufort scale. 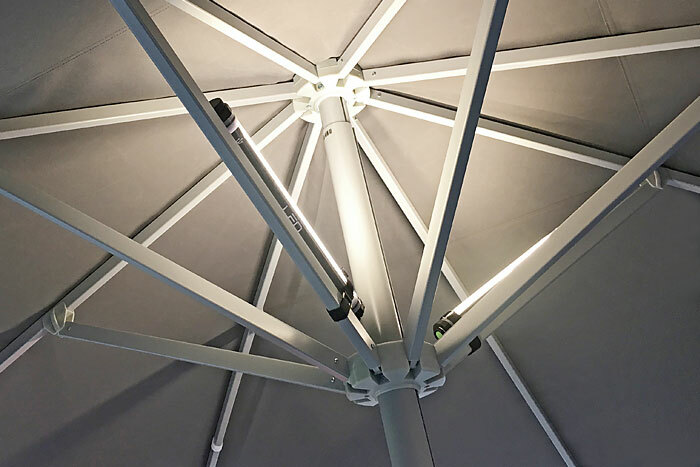 Impressive large umbrella with many extras, such as radiant heaters, which can be left in place when the umbrella is closed. For uncompromising hospitality professionals. And for everyone who wants to make a powerful statement – quality and reliability at their purest. Liberty MX. The professional cantilever parasol. 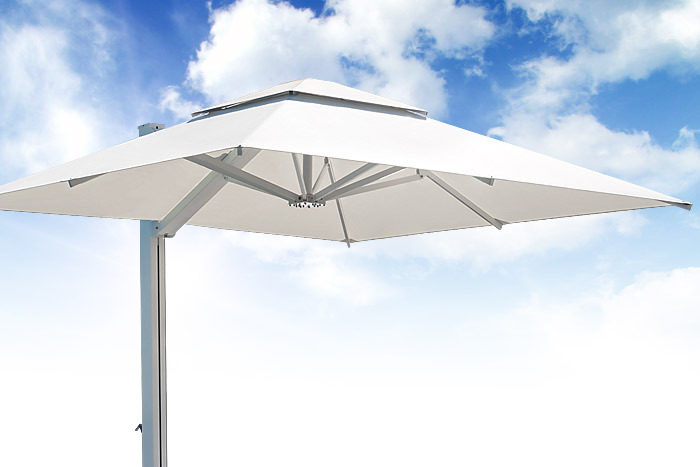 The cantilever parasol LIBERTY MX helps you creating free space, and is especially suitable for small an medium sized terraces. Furthermore, its wind resistance, the sleek and beautyful design, and easy operating are just convincing. More wind protection. Discover the new brochure. 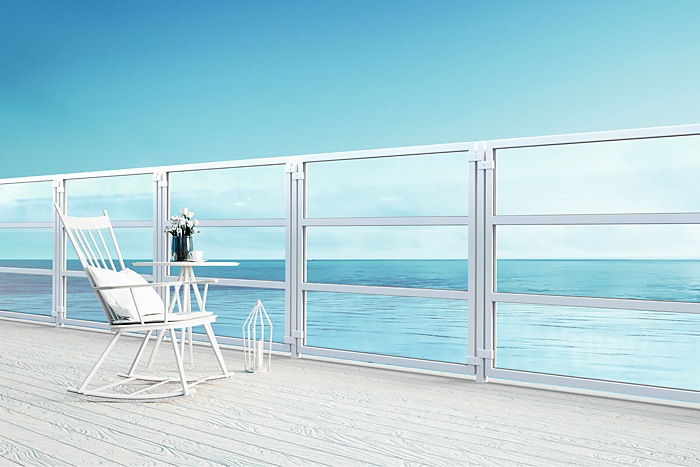 Discover our new wind protection walls, and the new terrace screens. Also, it is now possible to connect the windscreens without gap. Our cable-free parasol lights make your sunshades even more useful, even at night. As an ambient light source. Easily mounted, and suitable for practically any parasol type, they create a cosy atmosphere, and allow your guests to read the menu. The lights are dimmable in 3 steps, and they are equipped with a battery, that lasts up to 10 hours, wich can be easily charged with the included battery charger via USB port. Technical data an prices on request. Flag for installation on large umbrellas. Perfect for your co-branding. Our products are particularly popular with companies in the hospitality industry (sunshades for the hospitality industry) and landscape architects, and are often used for outdoor advertising and events. Wherever appearance and function have to be in perfect harmony, our large umbrellas are the perfect choice. With most models, you can choose from a variety of shapes: classic round sunshades, practical square advertising umbrellasor even rectangular large umbrellas, which are ideal for shading large areas. With the exception of the Bambrella and Tradewinds models, we produce all of our umbrellas individually in Germany and customise them for our customers. You can choose from a variety of poles, including aluminium, wood or even bamboo, various operating mechanisms – pulleys, quick-open systems and crank mechanism, and a wide range of materials and colours. Our friendly customer service teamwill be happy to advise you by telephone, at our showroom in Brüggenor even at your premises, on request. We plan projects large and small with you, to ensure that you choose the features you need for your outdoor area, and find a product that meets your need perfectly and will keep you happy for a long time. We only use top-quality materials with first-class finishing. As a result, our products are ideally equipped for tougher conditions in professional commercial sectors and offer demanding customers many additional features they will appreciate. Of course, we will be happy supply you with printed advertising umbrellas and offer you other advertising media with individual designs: windbreak walls, V flags, in-sets, folding tents and much more. As a result, we offer our customers the convenience of a wide range of outdoor advertising and terrace design products from a single source. That minimises the coordination workload, in particular for print design, ensures short delivery times and optimal coordination of all services. To make your outdoor area even more comfortable, you can equip your sunshades with great feel-good extras: with romantic lighting, with cosy heatingand with atmospheric sound. 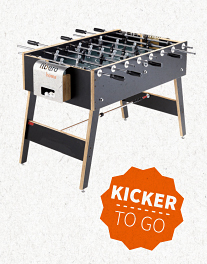 The Libero is an extremely solid foosball table with all of the characteristics of a professional tournament table. Große Schirme zu kleinen Raten! Schon gewusst? Sie können unsere Schirme auch einfach leasen! Das schont die Liquidität und bietet steuerliche Vorteile. Raten und Laufzeit lassen sich flexibel anpassen. Lassen Sie sich beraten!